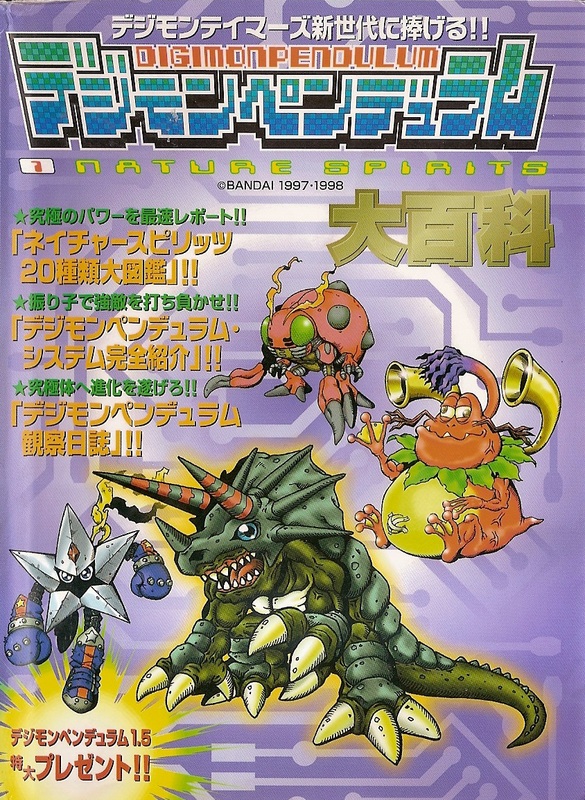 In 1998 now-defunct Japanese children's publishing house Keibunsha (勁文社 not to be confused with the two other Keibunshas 啓文社 and 慧文社) published a guide to the then-new Digimon Pendulum 1.0: Nature Spirits. While the guide includes illustrations and some general strategies for raising Pendulum series Digimon, Keibunsha's information was in no way competitive to what V Jump later offered in their own Pendulum guides. The statistics, unique character art, scenery, and superhit graphs are all absent from these guides. Instead Keibunsha substituted in character profiles ripped from Digimon Channel, stock art, and incredibly generic tips on raising that can be found in practically any magazine flyer. In fact, the newest information the Keibunsha guides brought to the table was a chart of D-1 Grand Prix tournaments from the end of November '98 to the end of January '99. Looking back, it's no surprise that Keibunsha eventually went out of business. Their guides are redundant, uninformative, and mostly fluff. 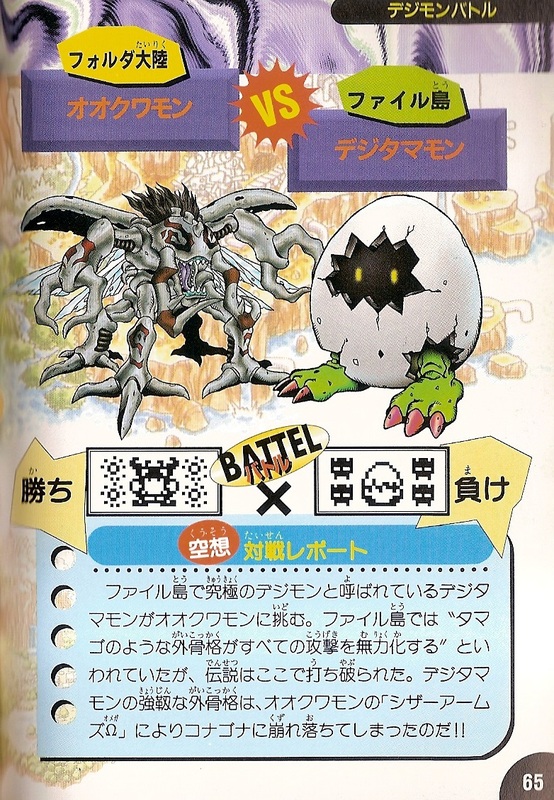 Probably the most galling moment in the Nature Spirits guide is the "battle" between File Island and Folder Continent Digimon on pages 62~66. In order to promote the Pendulum series, Keibunsha created imaginary battles between Digital Monster series Digimon and their Pendulum counterparts; naturally the Nature Spirits trump their Ver. 1~5 opponents in every battle. The original Keibunsha guide sold for 550 yen plus tax, the currency equivalent of about $6. I paid $11.64 for my copy, and that was a sale. The original price was $38.80--after shipping the original total would have been $48.20, and I got away with just over $21. Part of my incentive to scan and review this guide is so that no one else will throw their money away on these overpriced books. If you're in the market for collecting Japanese Pendulum guides, V-Jump's trump all else. You can download a mostly-finished scan of the entire book here. Pages 76~83, and 94 up to the guide contact information are duplicates of pages 74~75 and 86~87, and so have been omitted. Unfortunately, I have other books on the way and I'm not sure I can fit Digimon Museum into my budget.